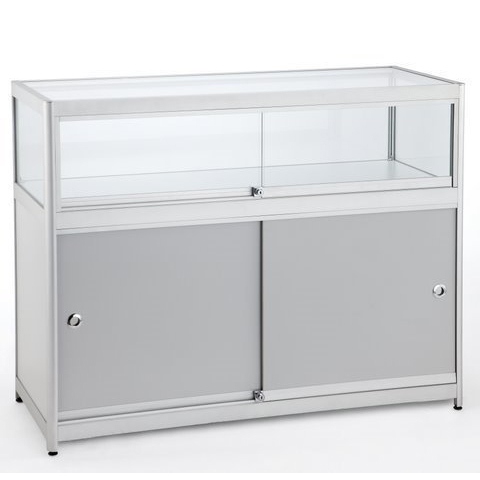 Aluminium framed 1/3 glass display counter with 1 x shelf and heavy duty adjustable feet. Supplied with Halogen lamps and LED lighting. Can be stand alone or combined with other units to suit all requirements. Robust framework. 600mm deep x 900mm high with 2 width sizes available: 1000mm or 1200mm. Units are made to order and will take approximately 3 weeks.